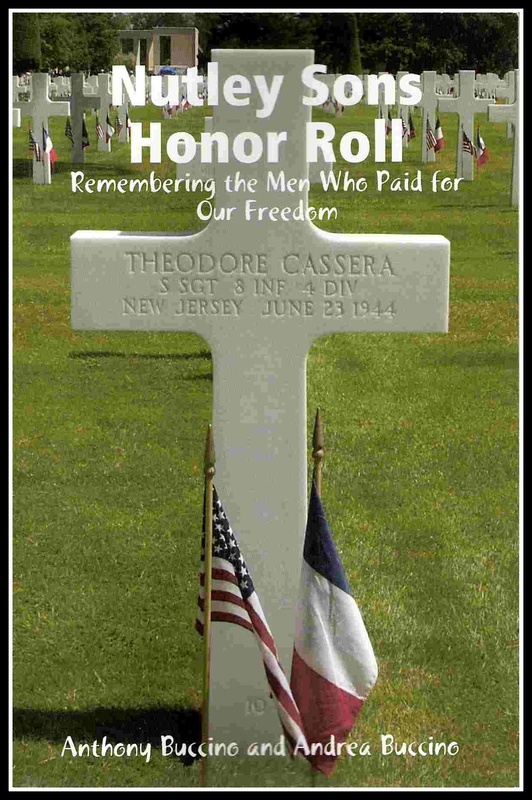 (January 12, 1945) -- On Dec. 24, T-Sgt. 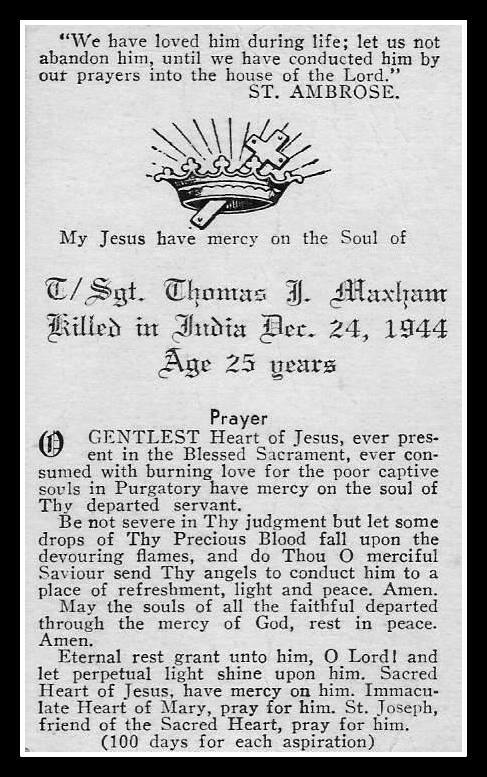 Thomas J. Maxham was killed in a crash of a B-29 bomber in a take-off at Budhkundi, India, according to a War Department telegram received Dec. 30 by Mr. and Mrs. John T. Rhodes of Chase street, Nutley. 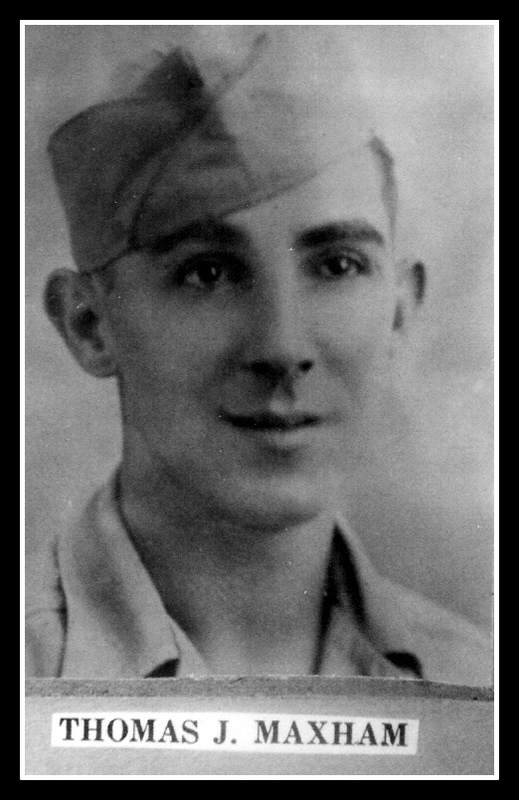 Maxham, a nephew of the Rhodes with whom he lived for a long while, was a radar operator on a B-29. 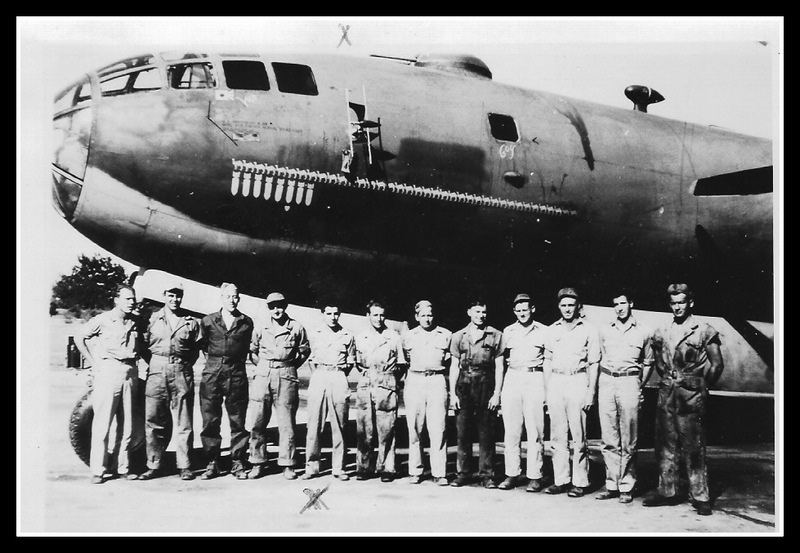 For more information on the crew and its last flight. Crew and its last flight.